Due to advances in veterinary medicine, care and nutrition our pets are living much longer than ever before, which means that we get to spend even more precious years together. It’s important to ensure that we provide the care our pets need in their golden years, with the right care having a positive impact on how old they act and feel. The age at which your pet is considered a senior citizen depends on their species and breed with many domestic short hair cats (or moggies) being considered golden oldies at around 9 years of age, whilst for rabbits this age is reached at around 4 -5 years old. For dogs the age at which we consider them to be senior citizens varies dramatically depending on their size, with large breed dogs such as St. Bernard’s reaching this benchmark at around 5 years of age, with Chihuahua’s not reaching it till they are around 10 years of age. Changes in weight, appetite or thirst, their coat condition, their toileting habits – such as going more frequently, or less frequently, going to the toilet indoors, having diarrhoea or constipation, appearing to find it painful to go to the toilet, missing the litter tray or spraying etc. Please don’t accept these changes as the inevitable effect of your pet getting older. Just as we would take pain killers – or reach for a heat pack if our joints are hurting, we can offer the same care to our elderly pets. So please book an appointment and let us check your golden oldie over, once we establish what the cause of the problem is we can often offer you advice and treatment to help make your pets senior years more comfortable, and possibly even longer! Once your pet reaches its senior years it’s time to consider providing some extra help, and there are lots of things that you can do to make their lives more comfortable and easier. Grooming – you can help keep your pet’s coat and skin in good condition by brushing them daily. Most pets will really appreciate this, and it gives you some extra special time to bond with your pet. Don’t forget to check their nails regularly as well. If your pet is not moving around and wearing them down as much as they used to (or scratching as much in the case of cats), then regular manicures will often be needed to prevent overgrown nails causing pain and discomfort. Our nurses offer quick and affordable nail clips for your pets. Daily checks – It’s a good idea to check your elderly pet over once a day, this is easily done just by running your hands over them, and having a quick peek in their mouth. It’s easy to convince your pet that this is extra cuddle time. Feeding – Some older pets find it difficult to eat and drink from a bowl on the floor, as they once used to. There are lots of raised food bowls that you can buy available, or you could do it yourself by putting their bowls on top of a few old books. Weight management – Just because your pet is aging it’s not excuse for it to pile on the flab. At this time of its life managing your pets weight is extremely important, as any extra pounds can have a serious effect on the way your pet’s joints, and internal organs function. Our nurses run free weight clinics if you would like some help controlling your golden oldies waist line. Routine – Older pets like routine, they like to be fed at the same time each day, exercised at the same time, and allowed to go to the toilet at the same times of the day. This routine can be comforting to them so try to stick to it as much as possible. Toilet breaks – Your golden oldie may need to go to the toilet more frequently than they once did, for many reasons, so it’s important to make sure that you facilitate this need. For dogs allowing them to go outside frequently is of benefit. Whilst for cats providing them with shallow and wide litter trays even if they normally go outside, will no doubt be appreciated. If you can’t find any litter trays that are like this consider popping to your local garden centre and getting a few seed trays. If your cat prefers going outside to the toilet try filling their litter tray with some soil from your garden will make things easier for them. Warmth – Senior pets tend to feel the cold more than they did when they were younger. Consider buying them a coat, or even a jumper for indoor use. Extra bedding will no doubt be appreciated. Don’t forget your rabbits and guinea pigs either, these will benefit from extra bedding, and coming indoors during the colder months. Ramps and Steps – If your pet can no longer reach its favourite place on your bed, or beside you on the sofa why not consider buying, or making them a ramp or set of low steps to assist them? IT will give you back your quality time together after all. Exercise – This is important not only physically, but also because it provides mental stimulation for your older pet. It is really important that as your pet ages it maintains it mobility and joint function, and there are many ways that this can be achieved. We recommend regular controlled exercise for your golden oldie, so they get the same amount of exercise every day, with no long hikes at the weekend. If your dog gets to the stage where walking is difficult then hydrotherapy and physiotherapy can be considered following veterinary advice. For cats, encouraging them to exhibit normal scratching behaviour will be of benefit to their muscles and their flexibility. You know your own cat best, some prefer scratching vertically, some horizontally, and as they age you may need to encourage this behaviour with a little cat nip perhaps. Mental stimulation – Exercise provides this, but so does play and training. Just because your pet is aging doesn’t mean that it doesn’t want to play any more – or please you by performing basic training exercises. There are also lots of puzzles and feed balls available which can be used to stimulate older pets, although homemade versions can be made at a fraction of the cost. Regular Health checks – We recommend you have your senior pet checked by a vet every 6 months. These health checks allow us to identify any problems as they start to develop, and put steps into place to help alleviate them. Dietary change – Despite some people considering senior pet diets a marketing ploy they are not. These diets are specially formulated to fulfil the needs of your older pet. They are easily digestible, containing high quality protein which is often more palatable than adult food. They have the correct calorie content for your pet (most older animals need less calories as they age, but some rabbits and cats can need more to maintain a healthy weight). They also contain essential fatty acids and antioxidants which help support your pet’s internal organs and immune system. Some prescription only veterinary diets are even specifically developed to help control common age related diseases such as kidney disease. Our clinical team will be more than happy to discuss your pet’s dietary requirements with you, and to advise you how to make a successful adjustment onto a new food as this needs to be done gradually to prevent any tummy upsets. Here at My Pets Vets we believe our older patients should be treated with respect and care. We understand that you, as their owners, are often extremely worried about them, and are often concerned that we may not be able to do anything to help them. As a result, we sometimes do not see older animals until their age related problems are quite advanced. 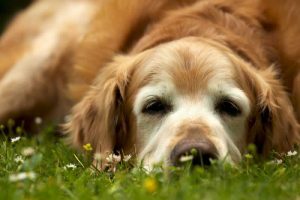 With advances in veterinary medicine there is often a lot that we can do to make your pet’s golden years much more comfortable, and we encourage you to bring them in for 6 monthly check ups with a member of our clinical team so we can identify any problems quickly and put steps in place to help deal with them. We can advise the use of medications, and surgery if necessary, but also the use of nutritional support products, therapeutic laser light therapy, acupuncture and physiotherapy. In our experience many owners are amazed by just how big a difference our therapies can make to the quality of life of their beloved pet. We offer free nurse led ‘golden oldie’ clinics where you can discuss any of your concerns regarding your senior pet’s health with one of our nursing team.